A Complete solution for recovering lost and deleted partitions. From formatted hard drives, partition loss, OS crash to RAW hard drives, it covers all. Download the software and get back your lost data. 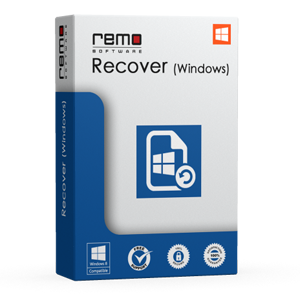 Remo Recover (Windows) Pro Tool brings in advanced mechanism to recover deleted or lost partition data. Recovering data with its original structure is utterly important and Remo Recover (Windows) Pro Software make sure that you get all your files & folders with its original form. It creates disk image of your entire drive before recovery process so that it doesn't overwrite original data and you get what exactly what you wanted from it. Recovers Almost Everything: One powerful software that helps to recover more than 300 files types - documents, spreadsheets, photos, videos, music, and many more. Data Salvage from all Situation: Whatever data loss situation you are facing; it restores files back. Get files back from deleted or lost partition, recover data after format or OS crash and more. Compatible to all types of Storage Media: This all-in-one data recovery utility can restore partition data from IDE, SATA internal & external hard drive, USB drive, Memory card, Digital camera, Mobile Phone, Music Player etc. 100% safe and Risk-free: Remo Partition Recovery Tool is a read-only application that gives you a fair overview of recovery chances without altering any content present in the drive. Unparalleled Technical Assistance: Our Customer Support is available 24x7 via Live Chat to help you with any problems or questions you may have. Remo Recover (Windows) Pro scans the entire hard disk in few clicks to recover data from lost or deleted partition. The demo version of this software allows you to preview recovered partition data before restoration. However, to save the recovered files you'll have to upgrade the software to its Pro version just for $79.97.